How can I create a Last-Minute Campaign? The available campaigns in the system are Special Campaign, Minimum Accommodation, Early Booking, Last-Minute and 24-Hour Campaign. Please follow the below steps to add one of the available campaigns. 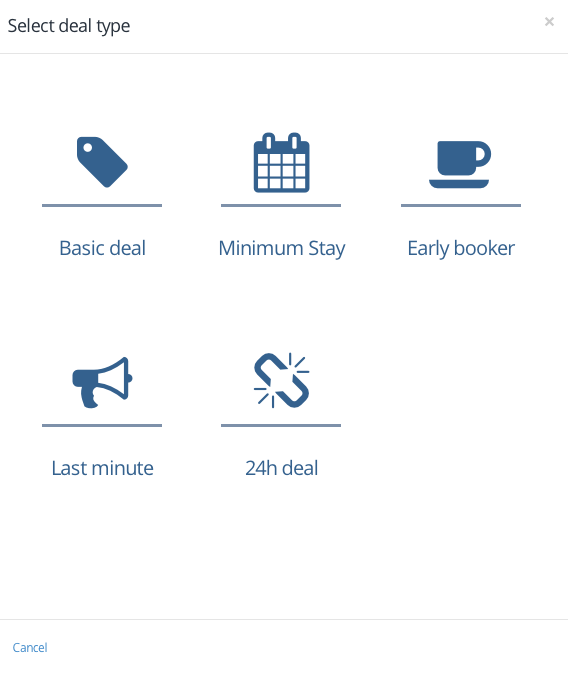 Last Minute: Your guests can benefit from this campaign if they book in the period you designated as the last booking date on your system. Please follow the following steps to add a Last-Minute campaign. After the above-mentioned operations (add campaign), please select the Last-Minute Menu. 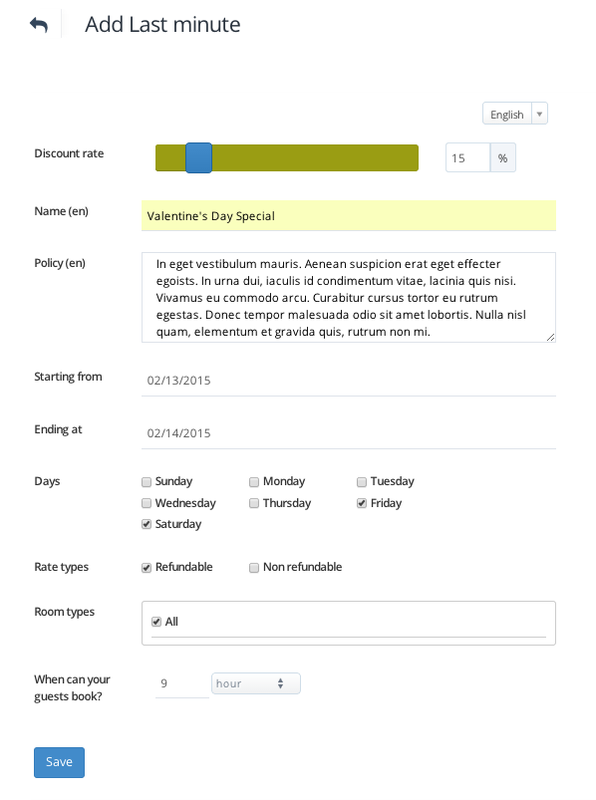 Please select the date range, date option, non-refund rule (if applicable) and room type you want to apply. Please select the last date range (time, date) your guests may book on.